Want to boost productivity in your office? It’s time to declutter, tidy up and maintain an office space that’s tidy and sparklingly clean! When gauging success, businesses most often focus on tangible metrics such as sales and expenses. What shouldn’t be overlooked, however, are the intangible aspects of the business such as employee morale, health, and productivity. A clean office impacts these intangibles immeasurably and a clean office can help create a healthy, happy and productive work environment providing long-term benefits for your business. 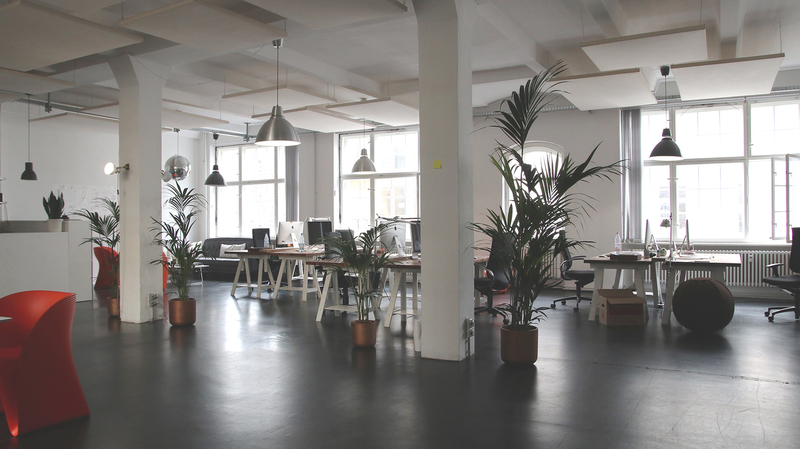 Companies lose a significant amount of time and revenue due to unclean office environments. Workers searching for misplaced paperwork, low morale, and inefficiency brought on by poorly cleaned and maintained workspaces, and the days of work lost to illness. Consider the last time you needed to find an important document – did you know instantly where it would be found or did you need to sift through piles and stacks of paper and document clutter to track it down? The more time you spend just simply searching for paperwork, the more it impacts your ability to achieve important tasks. Common sense suggests with less time wasted searching for important documents, a tidy, well-organized office leads to a more productive day. In fact, searching for lost documents equates to businesses losing around $2.5 million in decreased productivity, according to data by the International Data Corporation. Additionally, did you know that a typical office keyboard can contain as many as 7,500 bacteria at any given moment? Or that viruses like the flu can linger on office desks or computers for 24 hours or more? Messy office space can easily become a breeding ground for micro-organisms like E Coli and Microbes to thrive. Research by the University of Arizona found that keyboards and computer mice contain 3 to 4 times more germs and bacteria than the average office toilet seat due to reasons like people eating lunch on their desks or poor personal hygiene practices like not washing hands. When desks and work surfaces are left unclean, viruses can linger on items such as telephones and keyboards for as much as 24 hours. An unhygienic office is, on average, the cause of at least a portion of the nine working days the average employee loses due to being sick every year. An office that doesn’t get a thorough and regular cleaning can be a filthy and inefficient time and money pit where aside from the general unpleasantness of spending time in a dirty building for the bulk of a day, productivity is compromised in a variety of ways. Let alone just the challenge of getting motivated to work your best when you have to anticipate work in a filthy office every morning. The physical working environment plays a big part in attracting and retaining both clients and employees. Tech companies such as Google and Facebook led the work-life balance approach to invest heavily in their office environment as a core part of their hiring and retention strategy. The evidence for having a dirty workspace environment is also apparent: a Thomson online benefits survey, 64% of employees believe their workspace negatively impacted their well-being as well. Working in a clean and tidy working environment means employees are less likely to be distracted by filth and clutter, less likely to call in sick, and generally, just feel happier and more satisfied at work. If you make the right workspace decisions that are better for your employees, your employee retention numbers will remain consistently high year after year as will your rate of employee comfort, satisfaction, and productivity. Looking for superior janitorial services to keep your workplace environments as clean as possible? Talk to us!